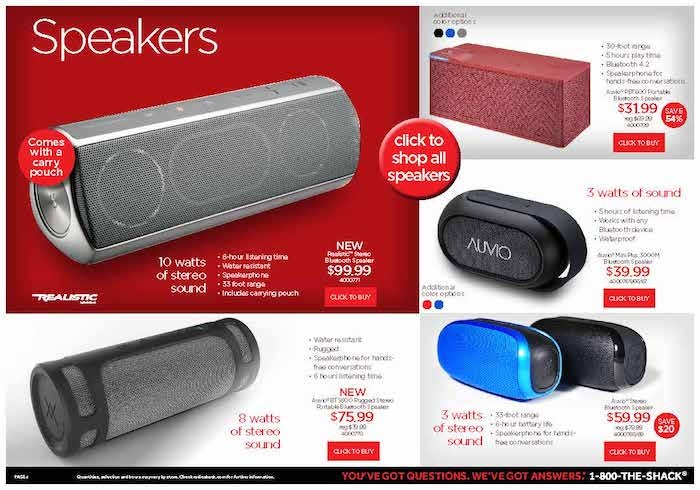 Here is the Radio Shack weekly ad valid through January 16, 2016. 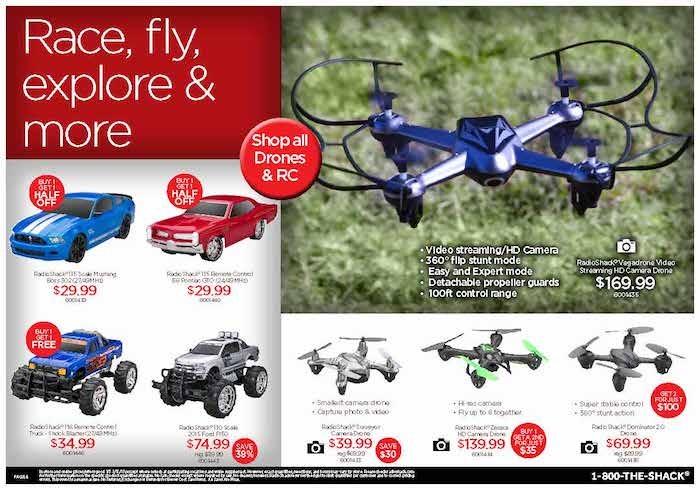 The promotions and deals in the ad are valid both online and in-stores. 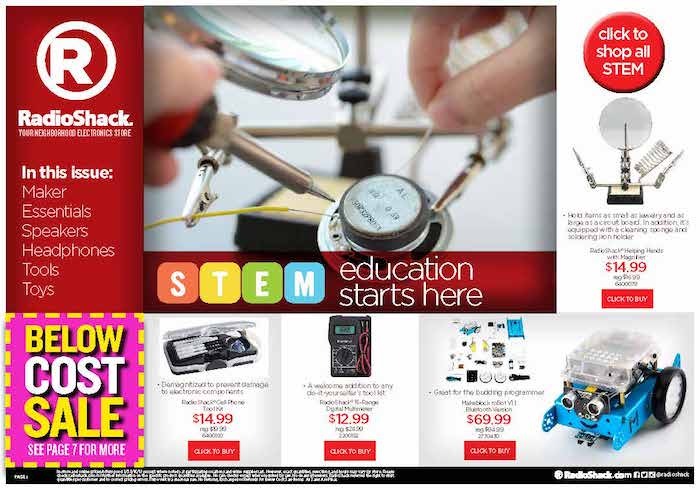 This week’s ad features unique products for STEM education. Also, speakers, headphones and remote control vehicles are highlighted. The promotion for this week is buy 2, get 10% off or buy 3+, get 20% off. 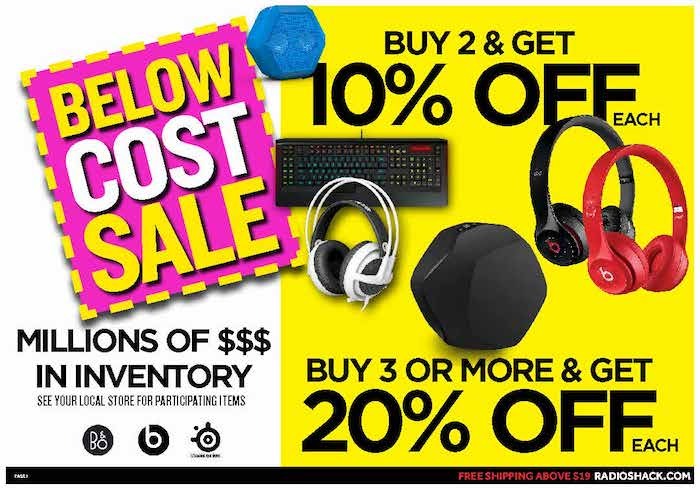 Although this promotion does not specifically suggest what products are included, in the image on the last page of the Radio Shack weekly ad it shows select headphones and computer keyboards. 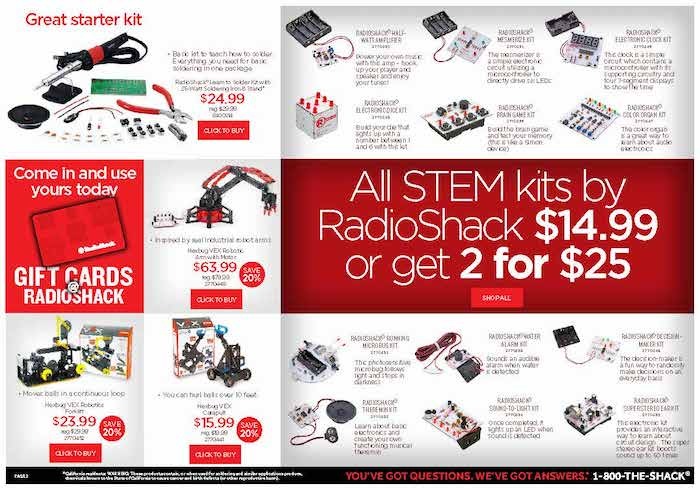 See stores for more details about the Radio Shack weekly ad. Radio Shack is a chain of wireless and electronics stores. In February 5, 2015 the company filed for Chapter 11 bankruptcy after 11 consecutive quarterly losses. They closed several stores prior to the company being bought out by General Wireless for $160 million in March 2015. General Wireless leaded the 1743 location to Sprint and continues to operate radioshack.com. 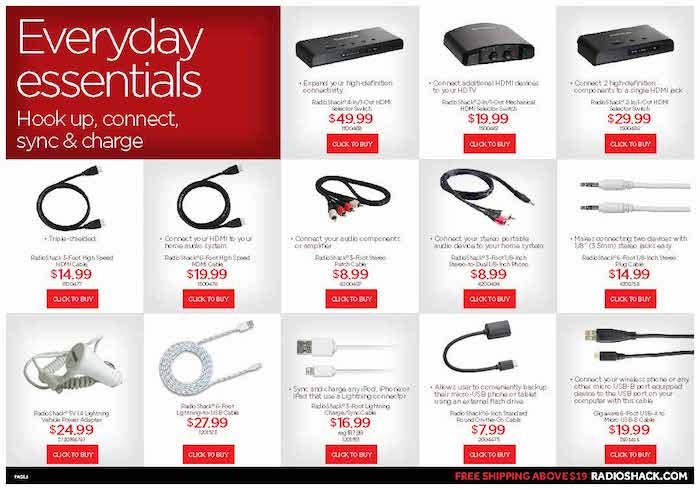 Today most stores are branded as Sprint though also selling RadioShack brand items. Some of the products the stores sells include mobile phones, batteries, tvs, music, cables, computers, GPS, cameras, video games, toys, and other DIY electronics. Radio Shack was originally founded in 1921 by Theodore and Milton Deutschmann who opened the store for amateur radio operators. The company has gone through a lot of high and low times. The Radio Shack stores we see today are not the same as they were several years ago, but the company is still operational. 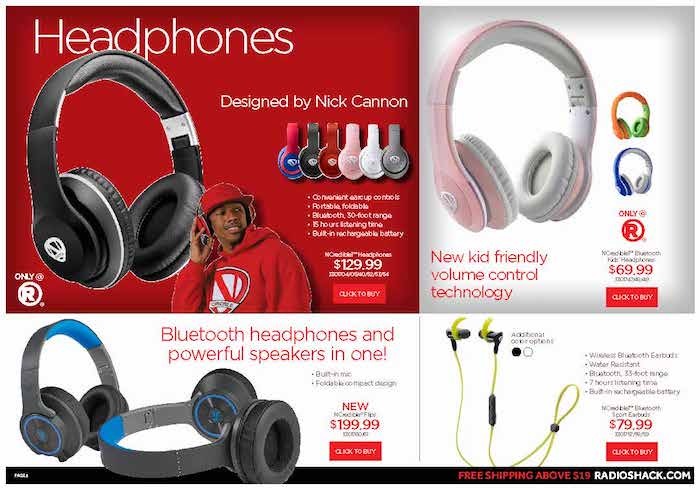 RadioShack is a small electronics store that has great prices on wireless devices and other consumer electronics. We don’t no how long the company will survive, but they are still open today.